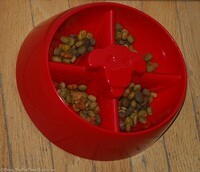 Dog food and dog treat articles to help you make the best choices when feeding dogs. 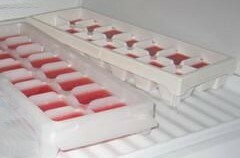 Plus homemade dog treats and recipes to make your own dog food and dog treats. Most popular: Kong recipes, dogs eating turkey, human food for dogs, what to do if your dog eats chicken bones. Not sure where to begin? Start here --> Dog Food 101. Easter Treats Just For Dogs! 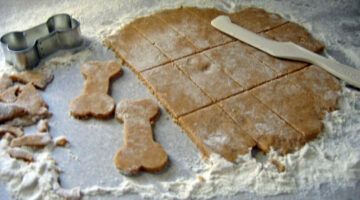 Just in time for Easter, they told us about these great doggie treats from the Kool Dog Kafe. They have 2-day shipping… there’s still time to get your doggie Easter treats! 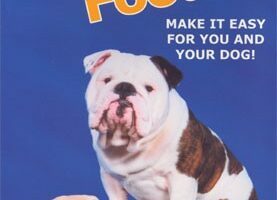 I’ve written about the fact that choosing the right dog food is a very personal decision for a dog owner. 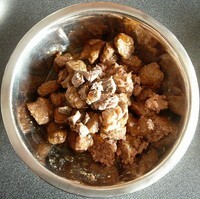 And there is no one right answer to the question ‘What is the best dog food?’ Here’s what I feed my dogs, and why. The Dog Ate It is a cookbook for dog owners that’s filled with recipes that both you and your dog will enjoy!